Athlete 20XX vs. Movement 20XX – What’s the Difference? Learn the main differences between these two training systems (they are huge!) and which one is the right for you (if not both). lot of people have been asking what’s the difference between Movement 20XX and Athlete 20XX since they are both full body training programs. The differences are quite big and in many ways they are the complete opposites of each other. Even the nature of each program is very different: Movement 20XX is more playful and free, while Athlete 20XX is more serious and technical. Movement 20XX was originally the result of fixing our bodies and recovering the natural performance the human body is supposed to have to begin with. Like many of us, we had joint problems that resulted from the lack of mindfulness in training and training recklessly. Since then these problems have been cured (luckily nothing serious ever occurred!). Movement 20XX was about returning to the roots and rediscovering the natural movement patterns of the human body. Movement 20XX is about rediscovering the ancient power within your body. This is the primary purpose of Movement 20XX: build full range of motion in your joints, open and loosen up the body, make the body limber and build foundational strength and mobility. The program is also about discovering new ways to move and building the basics of coordination, body control and movement ability. It's basically a comprehensive introduction to the world of human movement. One of the strengths of Movement 20XX is the focus on mobility, flexibility and posture in addition to learning interesting and useful movements from many different schools of training. Athlete 20XX, although it is also suitable for most beginners, is a more serious approach to developing the body. In Athlete 20XX we don’t really focus on flexibility although you will develop flexibility as a side product. The focus of Athlete 20XX is on performance and really building a strong and capable body that is physically above the rest. Athlete 20XX took our performance and physique to a whole another level and we expect it to do the same for others. Athlete 20XX focuses on all the core elements of human movement: strength, mobility, stability, speed and power. Not so much about moving itself, but more about the core elements of movement. In Movement 20XX you focus more on moving and enjoy the benefits as a side product. In Athlete 20XX you specifically focus on the attributes that will make you better at moving. For example, the primary purpose of Movement 20XX is to learn different movements and you will develop strength and size as side products. In Athlete 20XX strength, stability etc. aren't side products - they are the primary purpose. While Movement 20XX is more free in execution, Athlete 20XX is very technical. Form and stabilization is everything. This is simply the way to make progress after a strong foundation is built. Athlete 20XX develops strength, mobility, stability, balance, speed and power. The exercise selection and emphasis are completely different in Movement 20XX and Athlete 20XX. Athlete 20XX is a mix of bodyweight and weight training, while Movement 20XX is 100% bodyweight training. Movement 20XX is mostly full body training (with specific mobility drills). Athlete 20XX is what we call "precision training" and it's designed to emphasize different parts of the body through stabilization. There exists no training program or training style that goes as deep as Athlete 20XX unless the workouts are personally taught by a world-class teacher or a coach. This is also the reason why Athlete 20XX is a more expensive than Movement 20XX. Athlete 20XX goes deep with longer in depth videos, while Movement 20XX goes wide with lots of different movements. Focus on core elements of athleticism. A mix of traditional and untraditional exercises. 33% weight training, 66% bodyweight training. Possible to do at home but a gym preferred. Focus on moving the body. Movement training, mobility training and strength training. Good to do at home. Gets advanced but not to the same extent as Athlete 20XX. In terms of content, both programs are MASSIVE. This is because they are complete methods designed to last for a long time. One reason why we like to talk about our programs is that we are actually excited about them and what they can do for you. We just recently released Athlete 20XX and we are stoked about it. We could talk about it nonstop for weeks. We consider it a bad sign if the fitness coach doesn't like to talk about his/her method because it probably isn't anything special. Both of these training systems aren't just quick workout routines you can buy from any personal trainer or a coach: they are massive training methods designed to transform your body and ability to move. When you get in the system, you will engage in a new method of training which is supposed to last for a long time. Many have done Movement 20XX for a year and continue doing it. Athlete 20XX has been designed to work for years although it can be done just for months as well. You will enjoy benefits after 4 weeks but real results take time and real progress is made in months - not in weeks. This is true for any program out there. 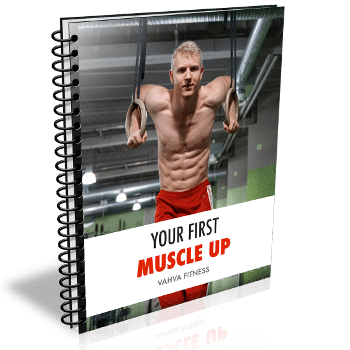 If we wanted to sell as many programs as possible, we would just sell quick 2 or 4-week programs or worse "5-minute abs workouts" but we are here to make a real impact in the fitness industry. If you are an absolute beginner or have problems in your body, we would recommend starting with Movement 20XX which is beginner-friendly and introduces you to lots of different ways of moving and strengthening the body. Athlete 20XX is a great sequel to do after Movement 20XX but it's also possible to start with Athlete 20XX right away (thanks to the beginner phase 1) if you prefer that style of training. Both of these programs can be combined together to get the benefits of both systems. 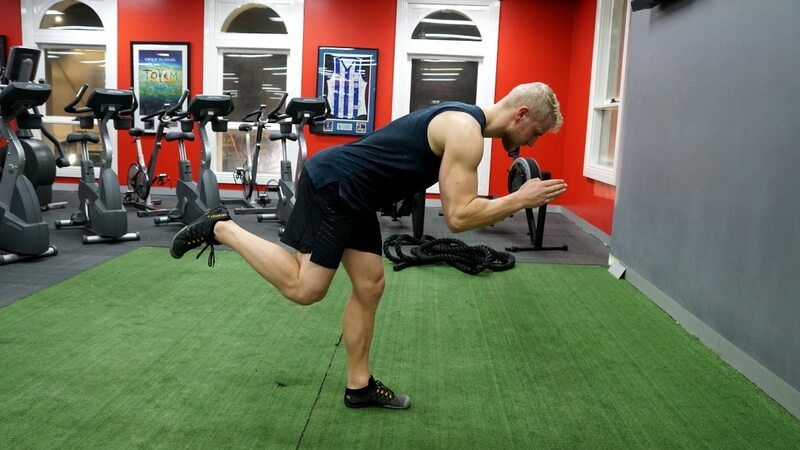 Movement training can be easily incorporated to Athlete 20XX workouts. It's also possible to switch between the two programs every week. Free educational and entertaining content. Mostly a surface look at things. No structure, schedule and no accountability for the person. Doesn't go in-depth in form and technique. Tutorial videos and correct form covered. Workout structure, weekly schedules and skin in the game. Priority access to us to help you get strong. Designed to aid you for years. Looking at many who want to transform their physiques and ability to move, discipline is often one of the biggest problems people face. How to stay disciplined? You have to get serious about training and make a commitment. You have to have some skin in the game. The best program is the one you follow and take seriously. The problem with free content is that there is not enough incentive. When you pay for a program, you make a commitment. You have something to lose if you slack off. The second big problem with most people is that although they are disciplined, the quality of their training is bad. The thing about quality is that it's 100% relative. It's subjective. People like to talk about "good form" but if we were to see it, we would find 99 holes in their game which prevents them from progressing. Moreover, it's not really about form but about movement quality. How good is the movement in every single millisecond of your form. Once you are consistent with your training, the quality of your training is the single most important factor determining your results. 20 years of poor training will only yield in 20 years of poor results. You only gain the eye for perfection with diligent practice and experience. It takes 5 years of disciplined experience to start understanding how things actually work. 10-20+ years to see at the highest level. The best thing about mentors and programs is that you can cut the learning curve by learning directly from the people who have the experience. When you do Athlete 20XX or Movement 20XX, you acquire a good level of understanding of the body and training, and take advantage of our experience and knowledge. There are kids who try to debate trainers with 30 years of experience. There are lots of people who think "they understand it" although they have just started and haven't gotten any good results themselves. There is no book or an article to make you understand everything. Many people think that once they learn the "science of training" and read a book, they actually understand what they are doing. Even the most intelligent person will take 5-20+ years to understand what is proper training unless he or she has a good mentor. This is true for any field or martial art because it's about experience and experience takes time. The problem with YouTube and with free content is that it's scattered and it's left for you to pick the "best pieces". Another problem is that majority of this content is not good quality and will teach you bad habits. We made the "STOP DOING THESE EXERCISES" video because we got annoyed by the bad tips and instructions we see everywhere on social media. Beginners automatically pick the pieces they think are the best and which make sense to them, but this is the problem. The higher level training won't make any sense in the beginning because you don't yet have the experience. Likewise, people pick the movements and exercises which are the most comfortable for them. You make real progress by doing something that is uncomfortable. Another big mistake people are also making is trying to do way too many things at once. When you try to shoot 100 birds, you will catch none. Focus on 1-2 things at the time. Many times we receive messages from people who are doing many different styles of training and trying to fit 100 things into their weekly schedule. This is the strategy for poor results. You will master nothing. Movement 20XX and Athlete 20XX are integrated systems of training the body. Ultimately, it's not about the specific exercises but the methodology behind them. Everything has to be integrated into one. Martial artists who practice many separate martial arts aren't as good as the ones who practice just 1 where everything is integrated. Visit Athlete20XX.com for more information. Visit www.Movement20XX.com for more information.